Humans are just a little tetched. There was an union-sponsored push to have a weekly Tuesday strike during early February, but it sadly didn’t come to fruition. There are also some tactical difficulties in that the ‘reserve army of labour’ here is ~10-15% of the population, and losing a job put you through stressful hoops to get any monies you rightfully contributed for. It’s eternal Euro-Thatcherism. I’m happy that people still demonstrate their unhappiness in the streets on a weekly basis, despite cops becoming much more violent since a video of a police van getting stoned in my city surfaced on RT a few weeks ago. I promoted the idea of working something like 30h or 20h in an assembly about the ‘RIC’ —as one goal we could get through direct democracy, and people were clapping at me, but most people prefer to talk about an increase of wages because either they don’t know any better about inflation, think it’s unrealistic, or are lackeys. I guess I should translate one of your posts like “Why reducing the work week is better than basic income” and distribute it on paper here because you have the right idea. 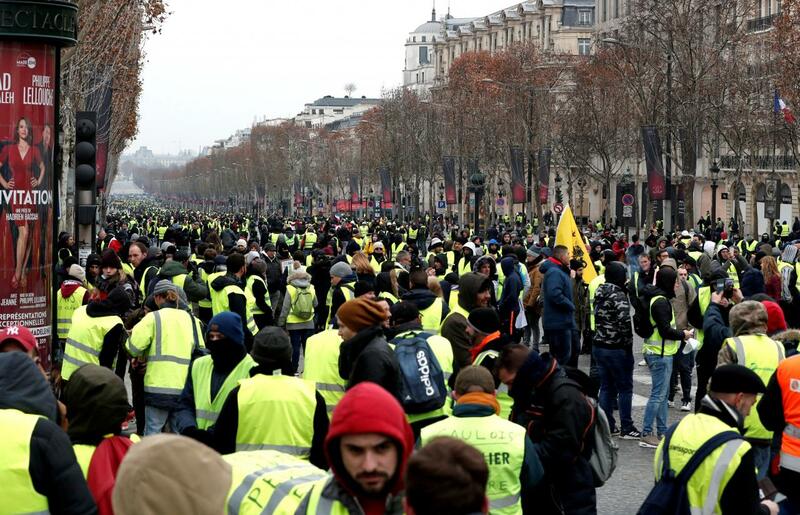 But as Debord said, most people live in a semi-constant survival mindset nowadays, and therefore Yellow jackets are afraid of being too ambitious, just like any other Westerner on the global labour market. They got to eat and smashing looting shops for there subsistence some how doesn’t come to them naturally, they have since a very early age been taught that violence not officially sanction by the state is ether criminal or mentally ill or both. the crime of destroying private property is seen as an attack on civilization its very self!